The firm has wide experience in all areas involving corporate practice, thereby advising in an integral manner, investors both national and foreign, in the start-up and follow-up of their businesses in Mexico. 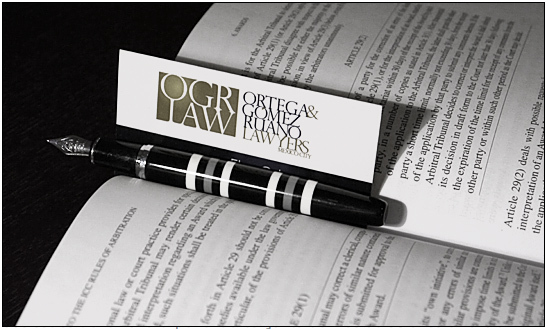 OGRLAW assists its clients in the drafting, discussion and negotiation of the essential legal documents necessary for their corporate transactions, such as sales, licenses, services agreements, joint ventures with business partners, credit agreements and the undertaking of collateral guaranties. We further render assistance to our clients in their corporate relations, both in the drafting of shareholders agreements, as well protecting them in important matters such as stock participation, minority rights protection, best corporate practices and the adequate functioning of administrative and surveillance bodies of companies. OGRLAW’s legal advice on these subjects benefits from our solid experience in dispute resolution. Therefore, all revision, drafting and negotiation of legal documents is naturally accompanied by a thorough analysis of the dispute resolution provisions in question, for additional protection of our clients. OGRLAW and its partners have been recognized as leaders in the corporate legal field by the publication Best Lawyers in Mexico. Legal advice to a group of family-owned companies in their corporate restructure and follow up of their corporate obligations. Legal advice to several companies in the compliance of their corporate obligations.